The devastating earthquake of 26 December 2003 in the historic desert city of Bam, Islamic Republic of Iran, caused the tragic loss of many lives and the destruction of an overwhelming part of its cultural heritage. This natural disaster stirred a strong sense of solidarity in the international community for the people of Bam. Preface: The BAM Declaration and Recommendations (2004) was adopted by the Iranian Cultural Heritage Organization, Bam, I.R. of Iran, 17-20 April, 2004. 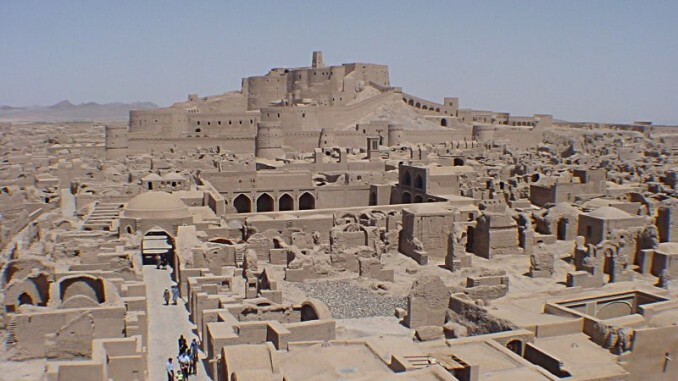 The devastating earthquake of 26 December 2003 in the historic desert city of Bam, Islamic Republic of Iran, caused the tragic loss of many lives and the destruction of an overwhelming part of its cultural heritage. This natural disaster stirred a strong sense of solidarity in the international community for the people of Bam. This wish to aid was also particularly strong amongst institutions and professionals in the conservation of cultural heritage. On the occasion of the International Day of Monuments and Sites (18 April), the Iranian Cultural Heritage Organization (ICHO), the United Nations Educational, Scientific, and Cultural Organization (UNESCO), and International Council of Monuments and Sites (ICOMOS) organized an International Workshop for the Recovery of Bam’s Cultural Heritage between 17- 20 April 2004 in Bam. 38 international and 23 Iranian expert participants and representatives of local and national authorities, and 31 ICHO members, gathered from Canada, France, Germany, Iran, Italy, Japan, Peru, Spain, the United Kingdom and the United States of America, as well as representatives the Governments of France and Italy, International Centre for Earth Construction – Ecole d’Architecture de Grenoble – (CRATerre-EAG, France), the Getty Conservation Institute, World Monuments Fund, the International Centre for the Study of the Preservation and the Restoration of Cultural Property (ICCROM), ICOMOS, the World Bank, and UNESCO. Adopted the following Declaration and Recommendations, for improved planning and conservation of Bam’s heritage as an integral part of the recovery process and sustainable development process after the cataclysm, and called upon the Iranian authorities, ICOMOS and UNESCO to mobilize further co-operation at both national and international level to ensure that adequate steps are taken in the short, mid and long term, to provide further guidelines for preventive measures applicable to buildings, living settlements, archaeological sites of earthen architecture and cultural landscapes in Iran and around the world, and to encourage cooperation in the fields of research, education and training in relevant disciplines. The International Workshop on the Recovery of Bam’s Cultural Heritage, Bam, I.R. of Iran, 17-20 April. The declaration stresses the need to promote continued utilization of earth as a traditional building material for new constructions, thereby retaining and expanding the specialist skills and employment opportunities, whatever previous natural disasters or after future disasters. It mobilizes further co-operation at both national and international level to ensure that adequate steps are taken in the short, mid and long term, to provide further guidelines for preventive measures applicable to buildings, living settlements, archaeological sites of earthen architecture and cultural landscapes in Iran and around the world.